I know a lot of people obsess over fonts. I'm not usually one of those people. 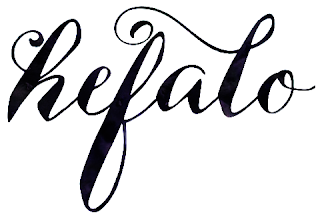 I find fonts two ways for my Silhouette and crafting projects: 1) I scroll down the font list in Silhouette Studio and whatever strikes me, I go with - sometimes you just gotta trust instinct and not over-think it. The second way I pick fonts is from my list of favorite fonts. So what are my go-to fonts? Well...when it comes to script fonts I have about a dozen that I gravitate towards. These are fonts that I know won't let me down - specially when I'm short on time and I need something that will work. These 11 FREE script fonts never fail me! Remember, to add new fonts to your font list in Silhouette Studio you must download it, install it, and then re-open Silhouette Studio. And finally, if you're looking for commercial-use script fonts, you're in luck. The Hungry Jpeg just released a Script Font Bundle which includes 22 script fonts, all with commercial licenses for just $22. Grab it now because the deal only sticks around for another 2 weeks or so. Thank You for the links to the fonts! They are all beautiful. But I could not figure out how to download the Scriptina Font !?!? I am having a problem with the Scriptina font as well. Thanks for the free fonts. I already had a couple of them, but I too am having trouble with Scriptina and really like it! Thank you so much for these beautiful fonts. I went to https://www.fontsquirrel.com/fonts/Scriptina and was able to download Scriptina. Hi! Thank you for the links to fonts, but I am not able to import them - says file type not supported (even though they are .TTF or .OTF). I was able to install fonts, but not able to view them in Silhouette even after closing and opening several times. Any tips or suggestions? Thank you! I'm having the same problem as "Anonymous": I know the font is on my computer, but it's not showing up in my Silhouette software. Looking forward to your suggestions! Thanks!!! These are great fonts!! !